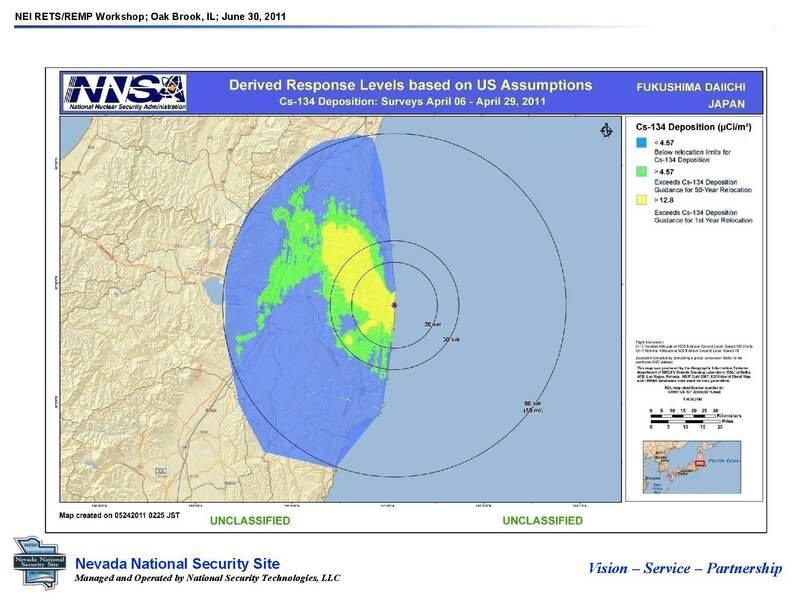 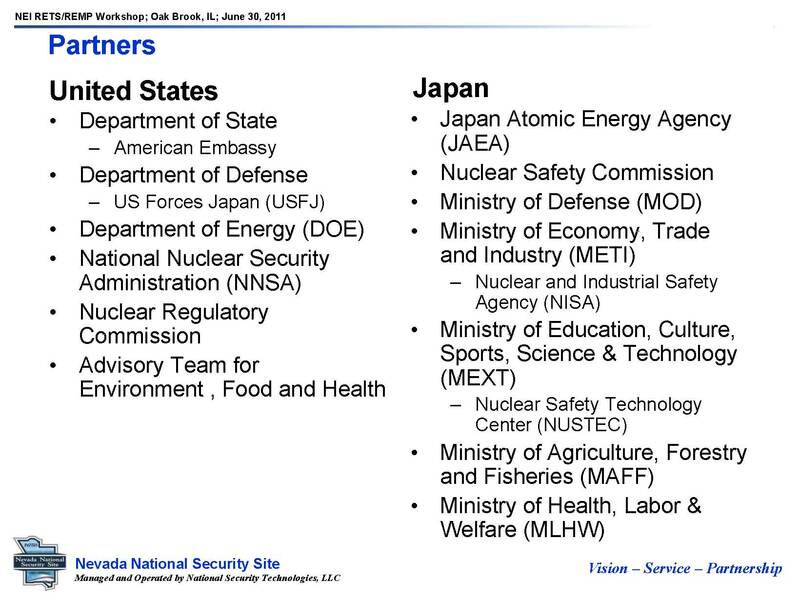 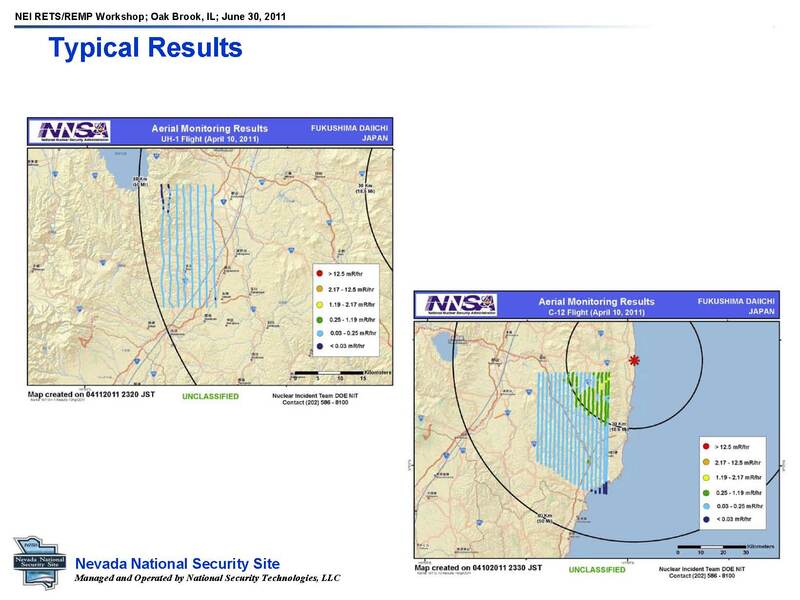 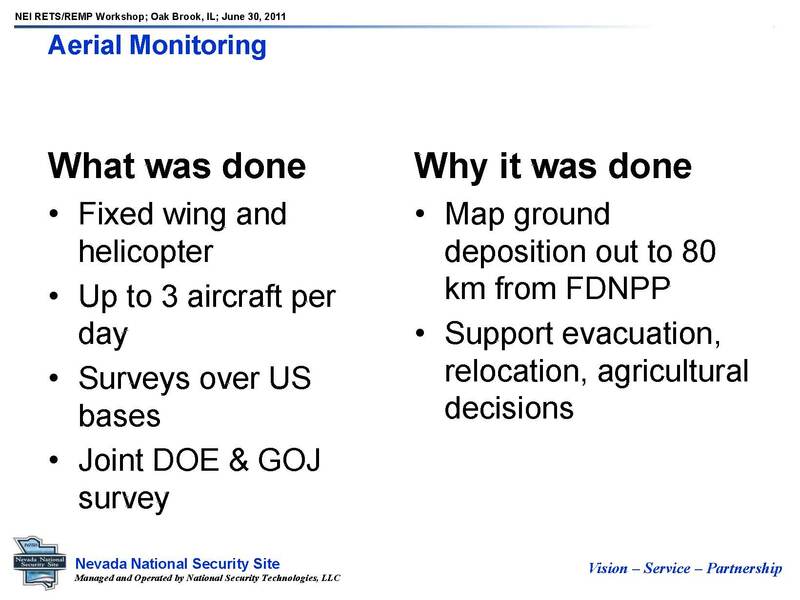 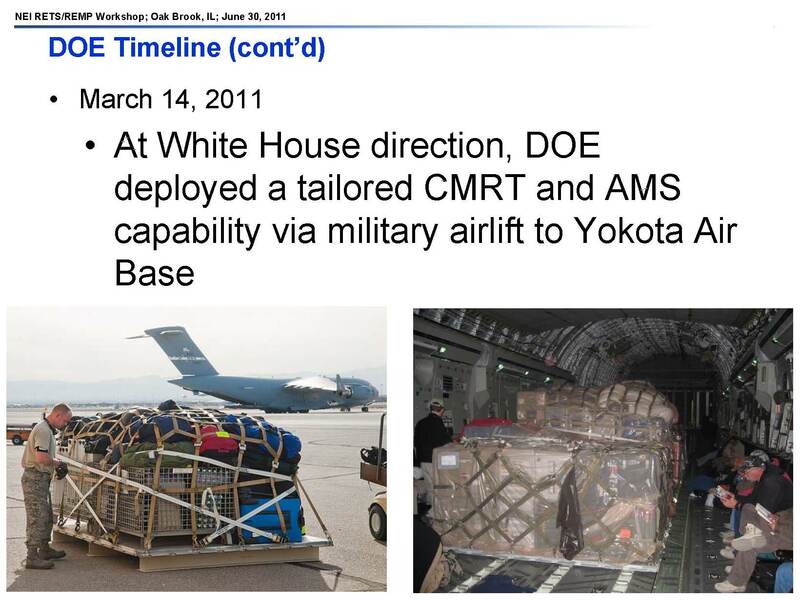 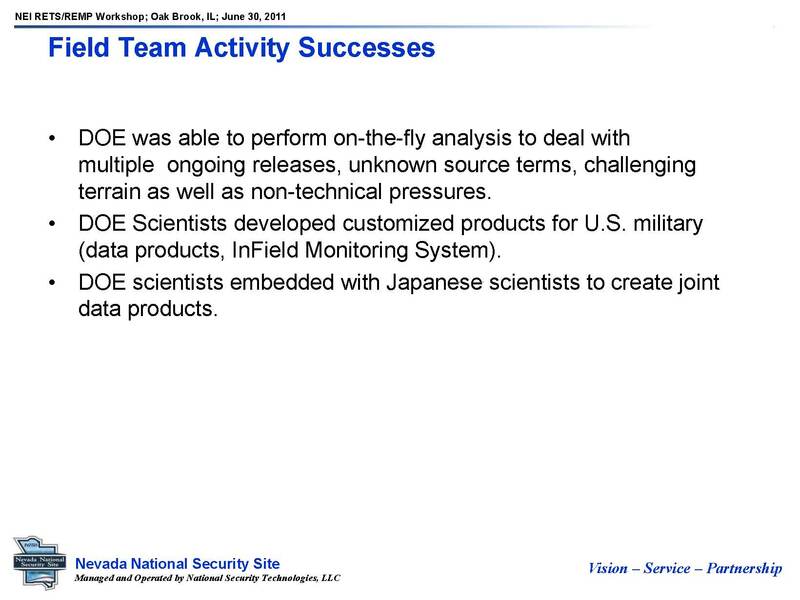 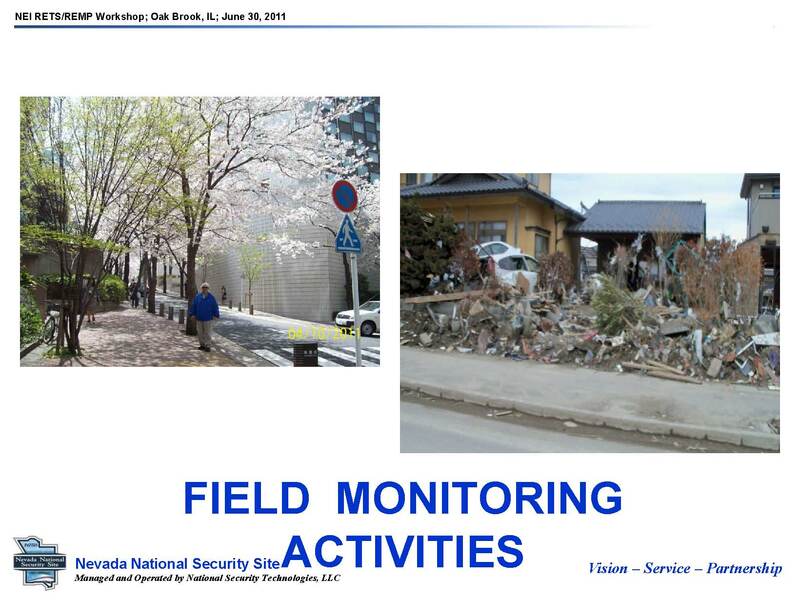 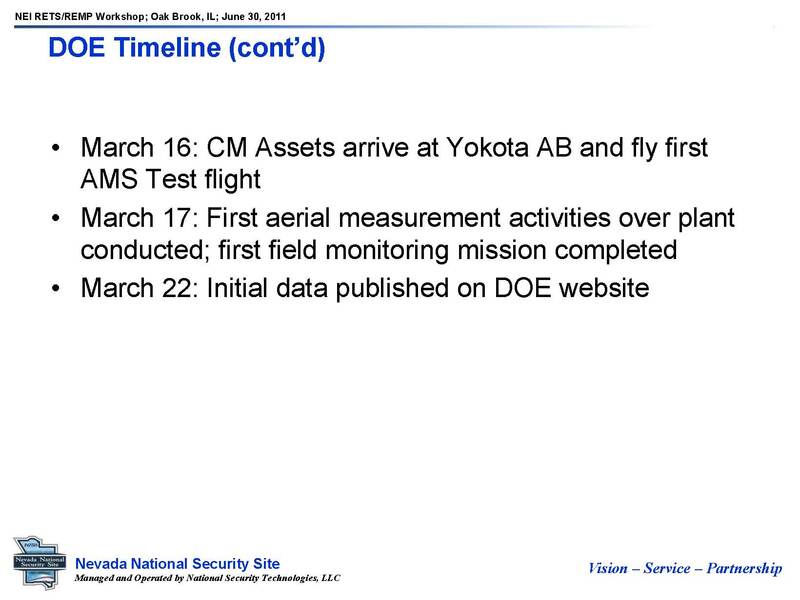 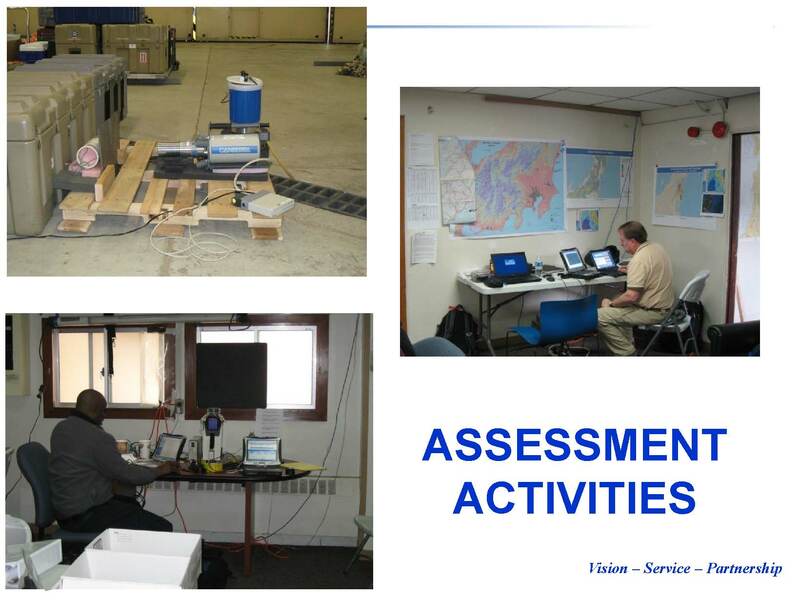 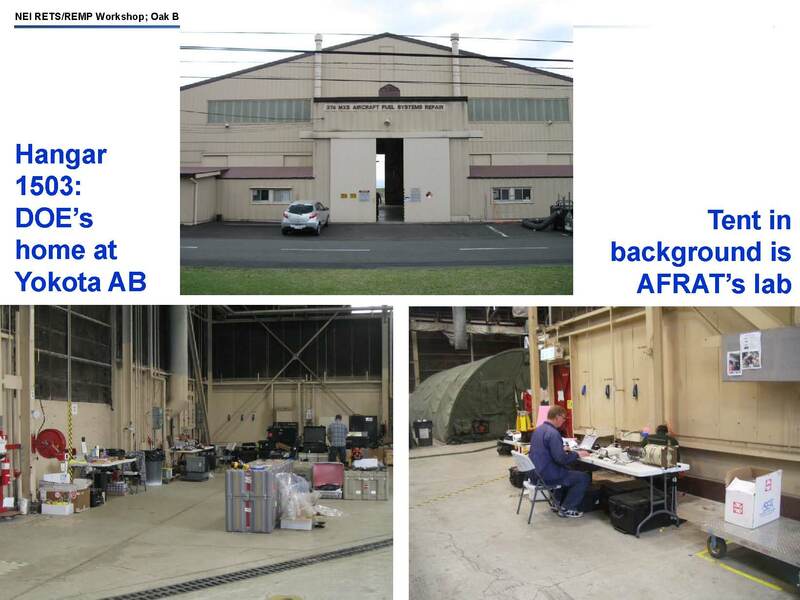 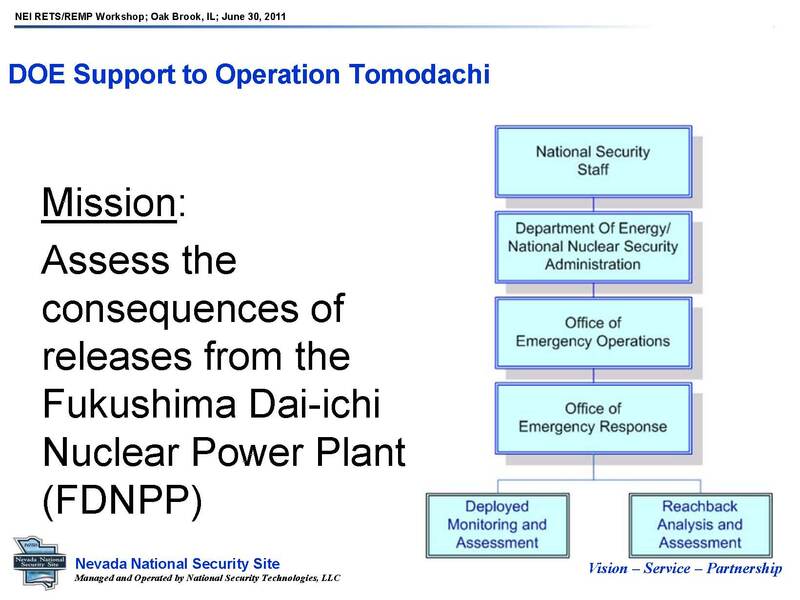 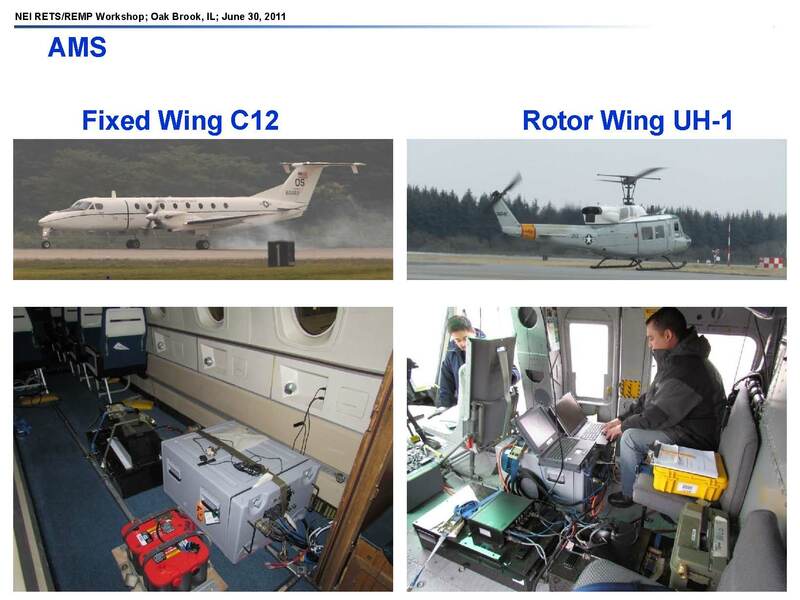 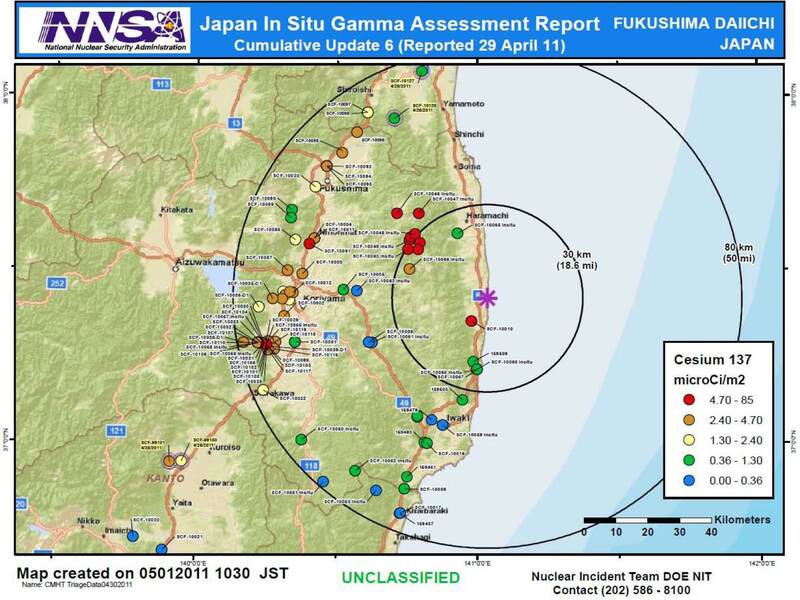 At White House direction, the US Department of Energy (DOE)1 deployed a tailored Consequence Management Response Team (CMRT) and Aerial Measuring System (AMS) capability using military airlift to Yokota Air Base on March 14, 2011, to support the response to the nuclear events at the Fukushima Dai-ichi Nuclear Power Plant resulting from the earthquake and tsunami that occurred three days earlier. 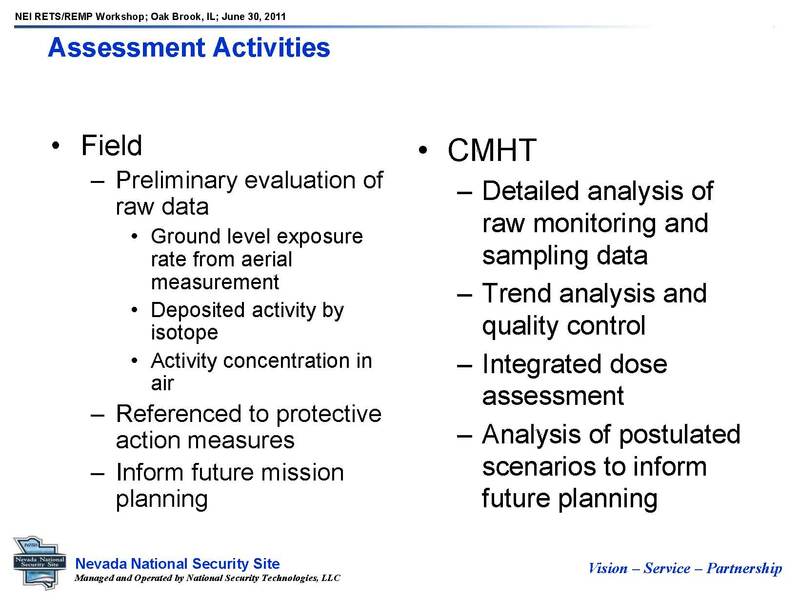 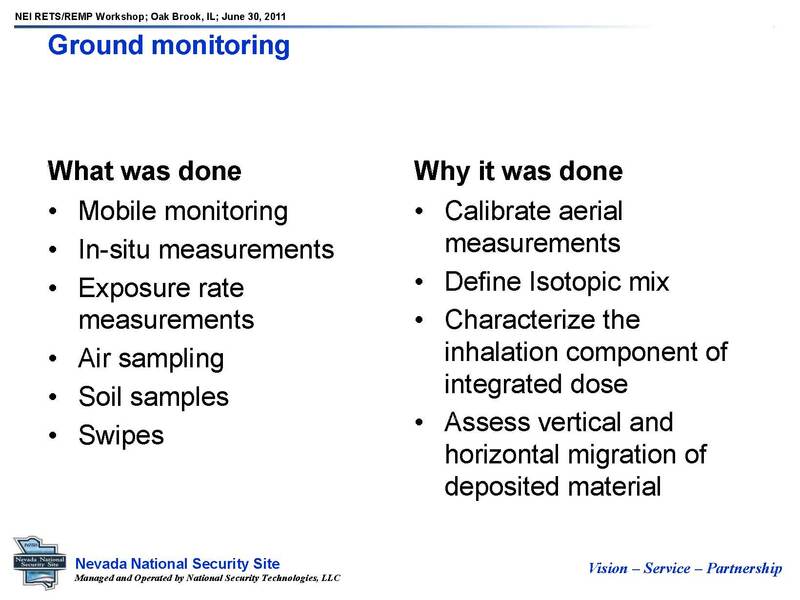 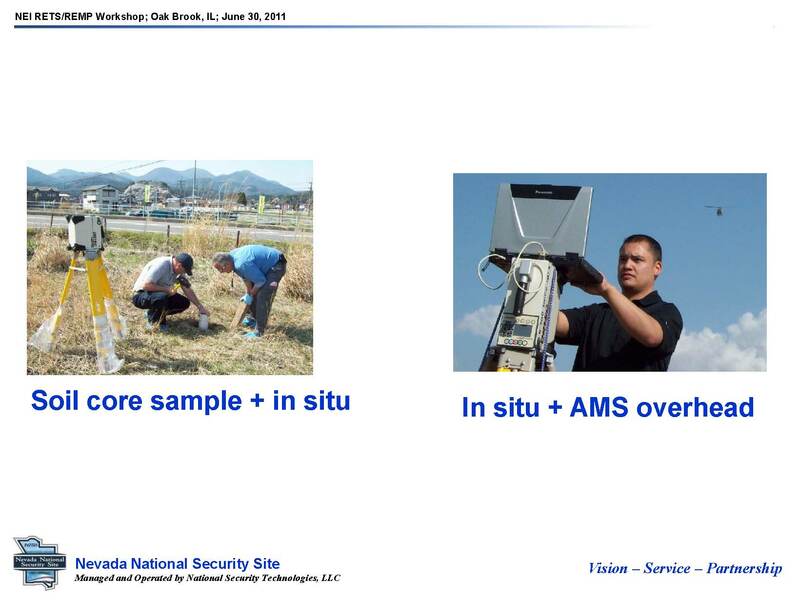 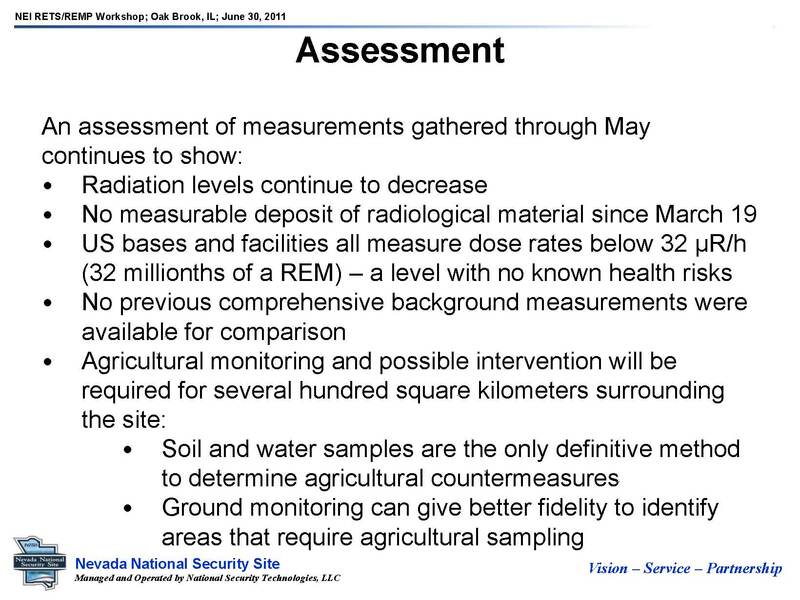 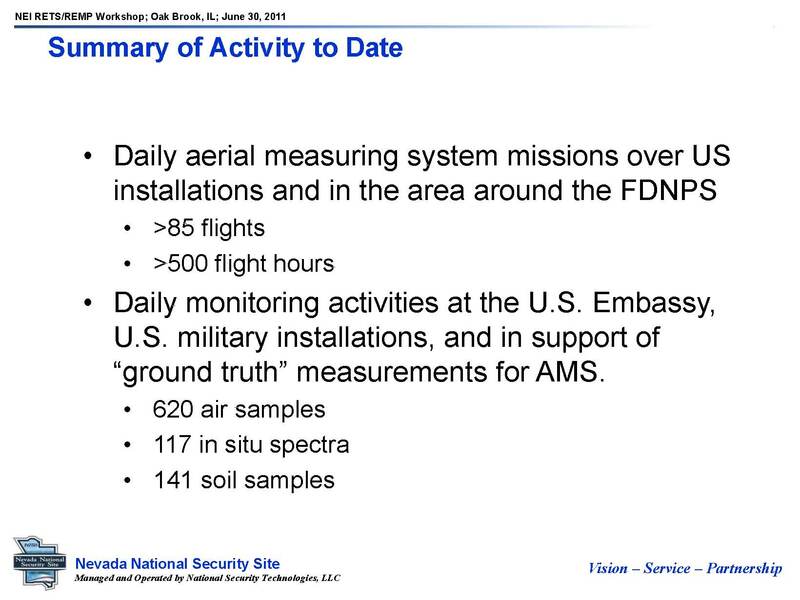 By March 17, the AMS had acquired a general picture of the level of contamination on the ground. 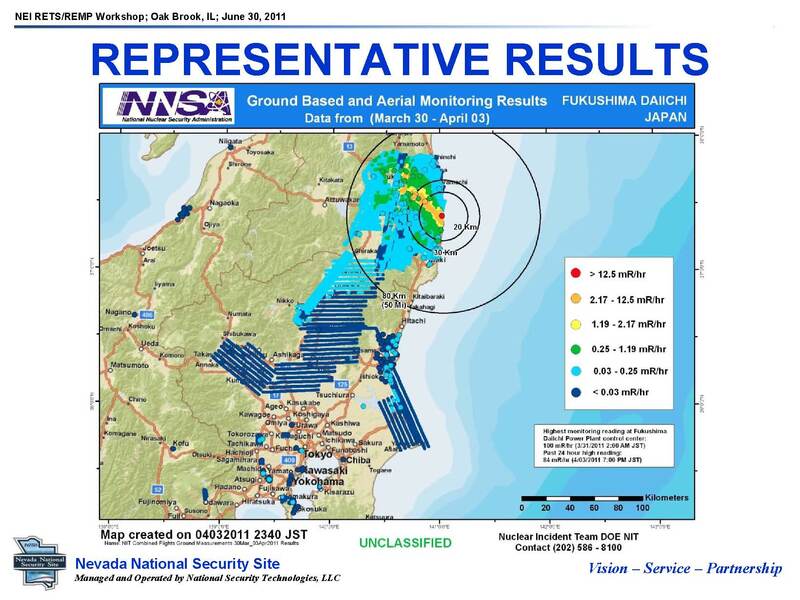 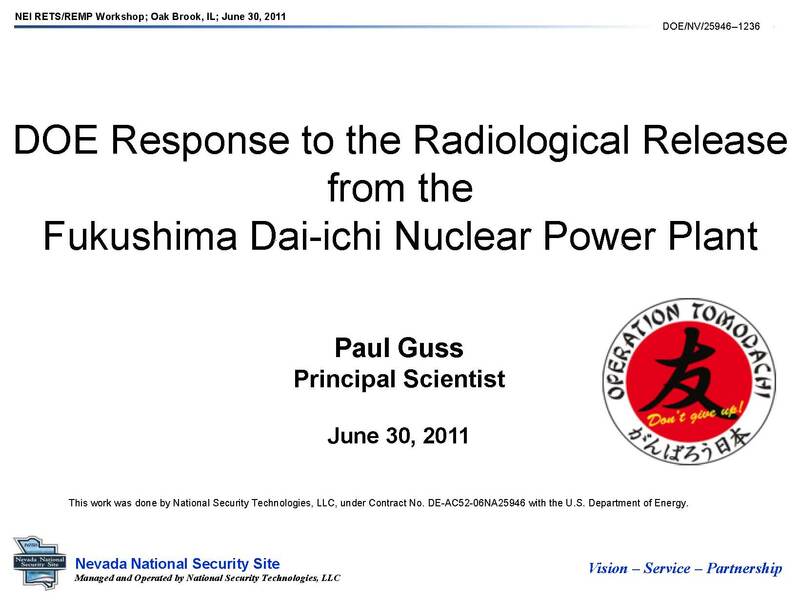 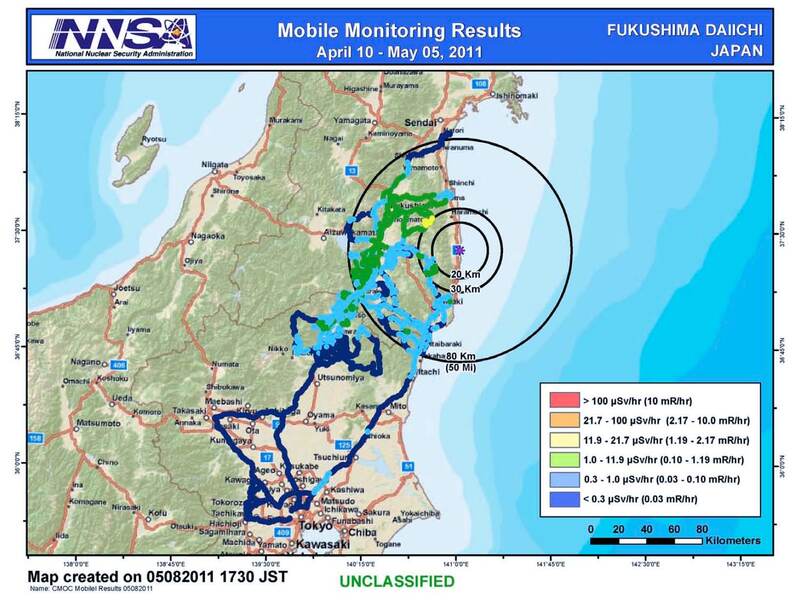 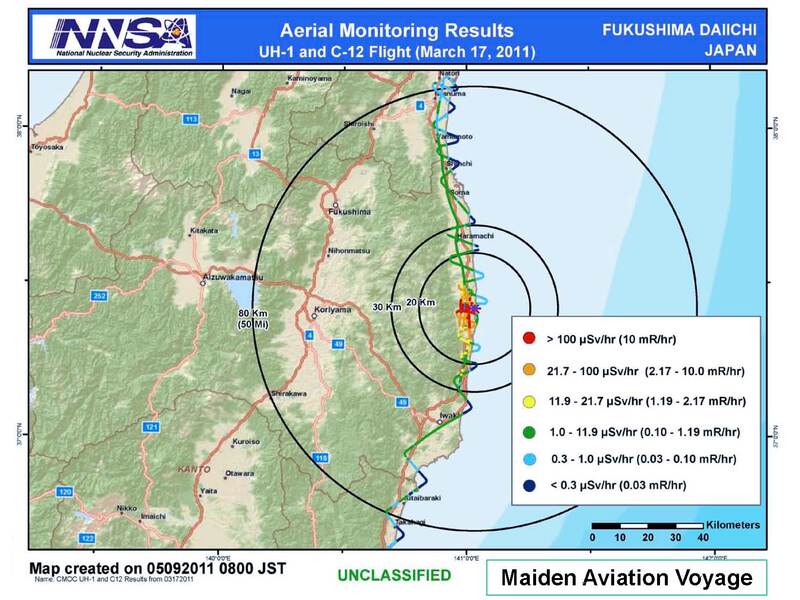 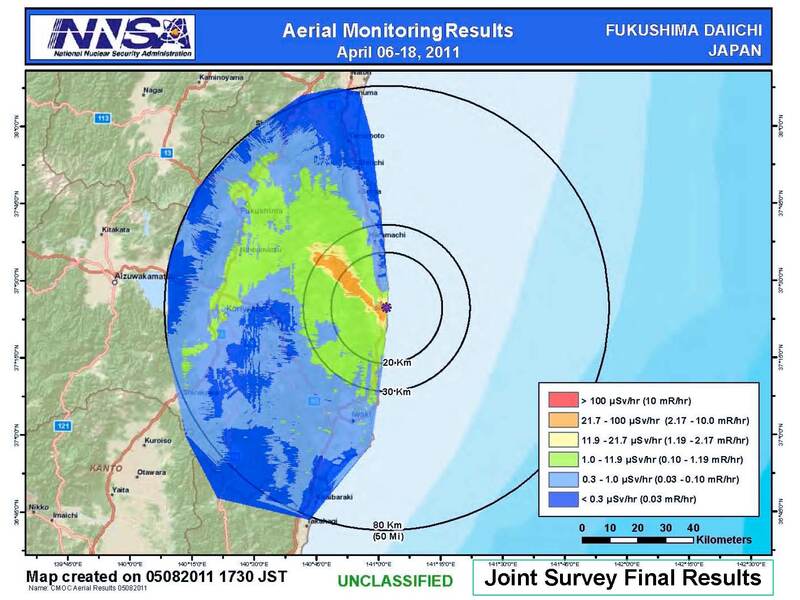 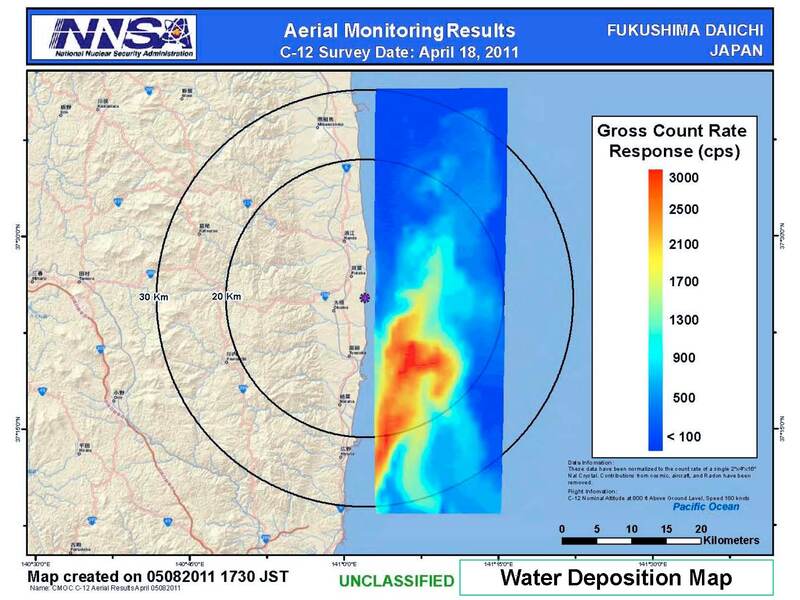 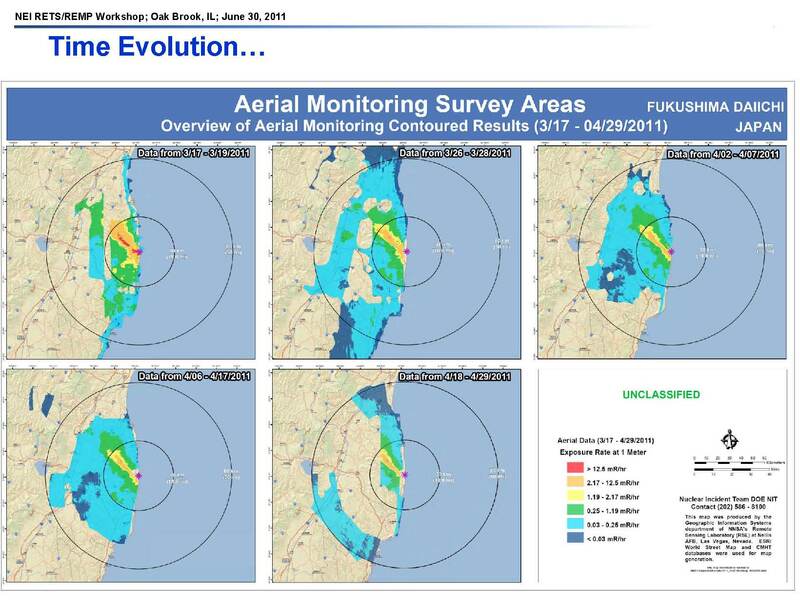 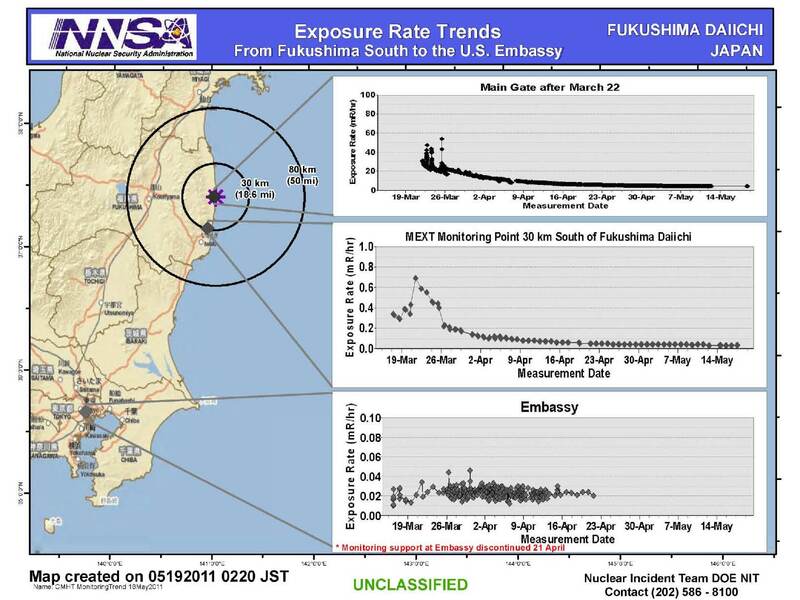 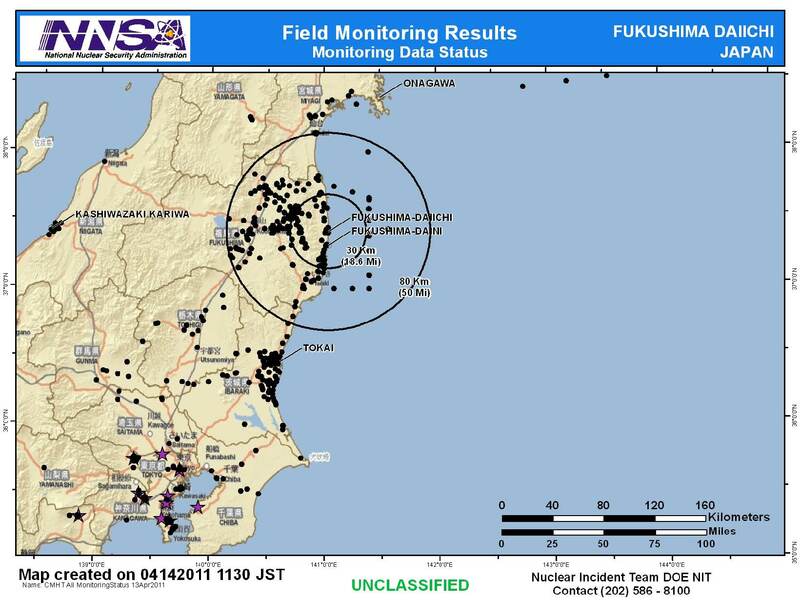 Over 80 aerial flights were conducted in which radiological measurements were performed to map out the radioactive environment of that section of Japan in the vicinity of the Fukushima Dai-ichi Nuclear Power Plant. 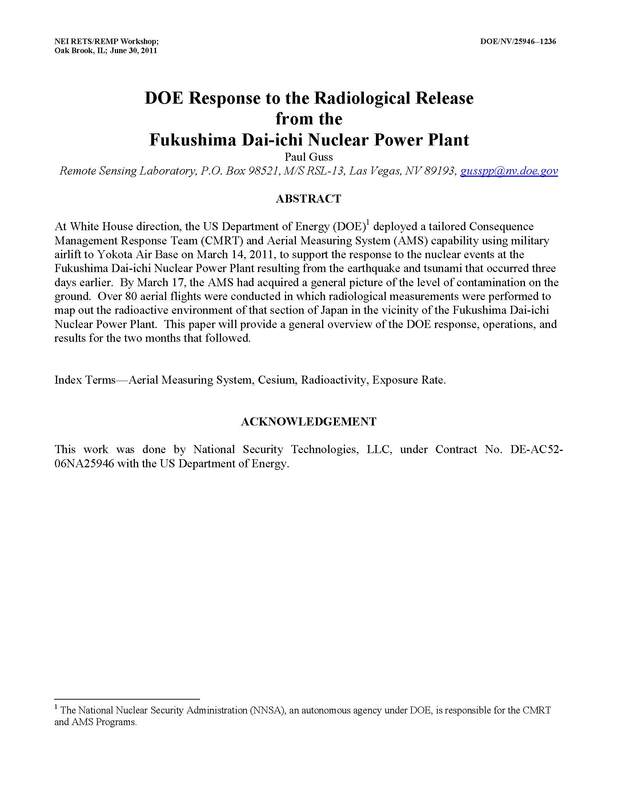 This paper will provide a general overview of the DOE response, operations, and results for the two months that followed. 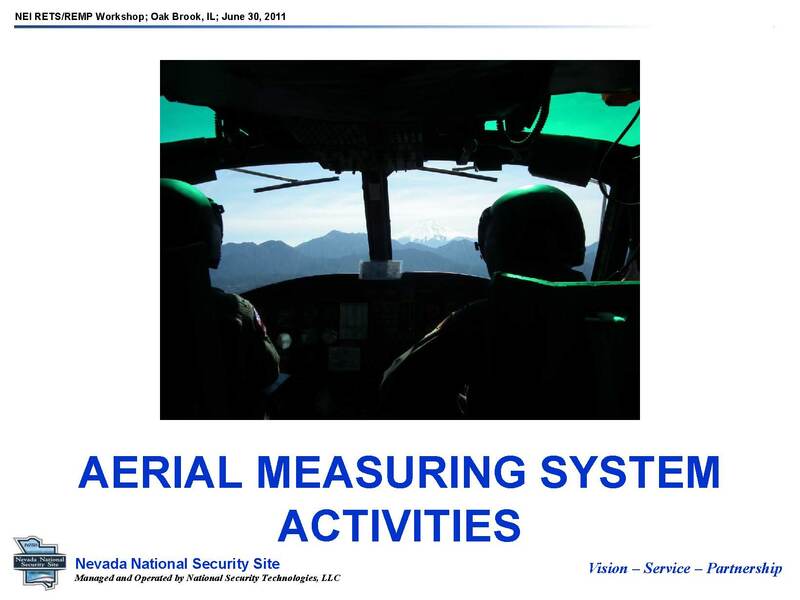 Index Terms—Aerial Measuring System, Cesium, Radioactivity, Exposure Rate. 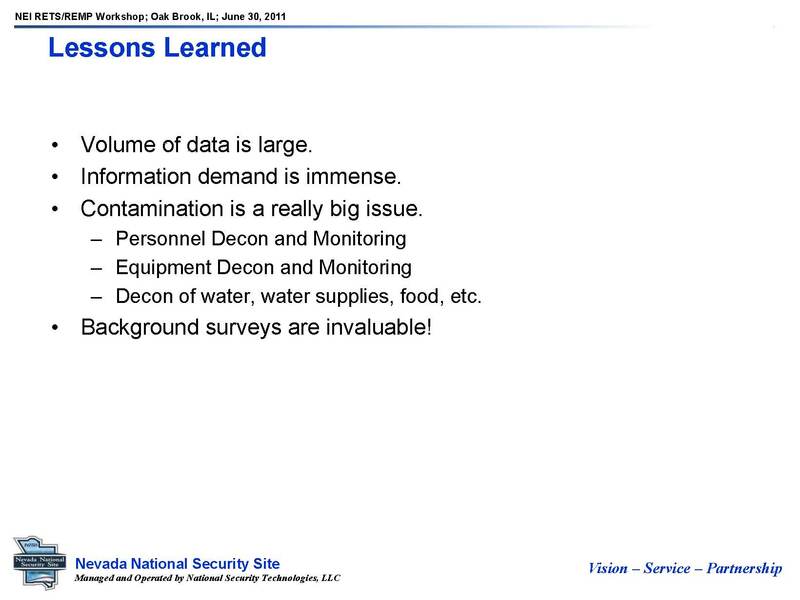 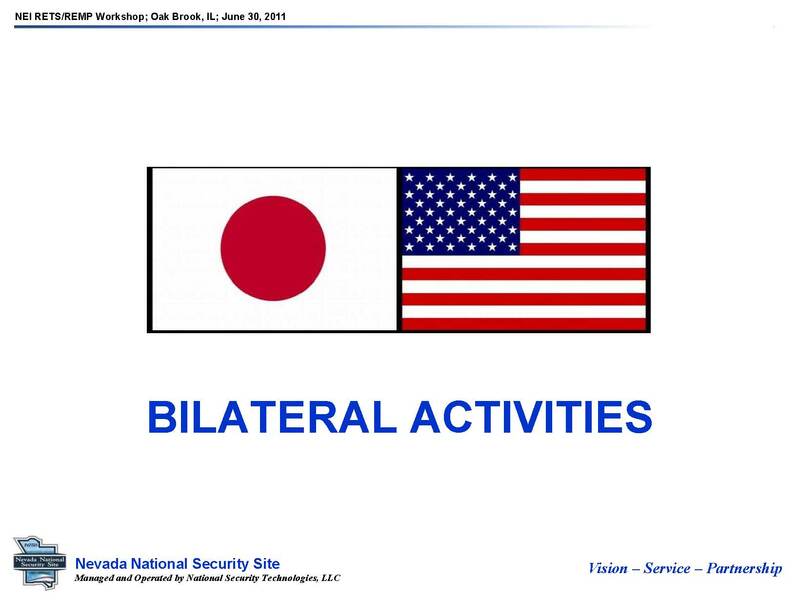 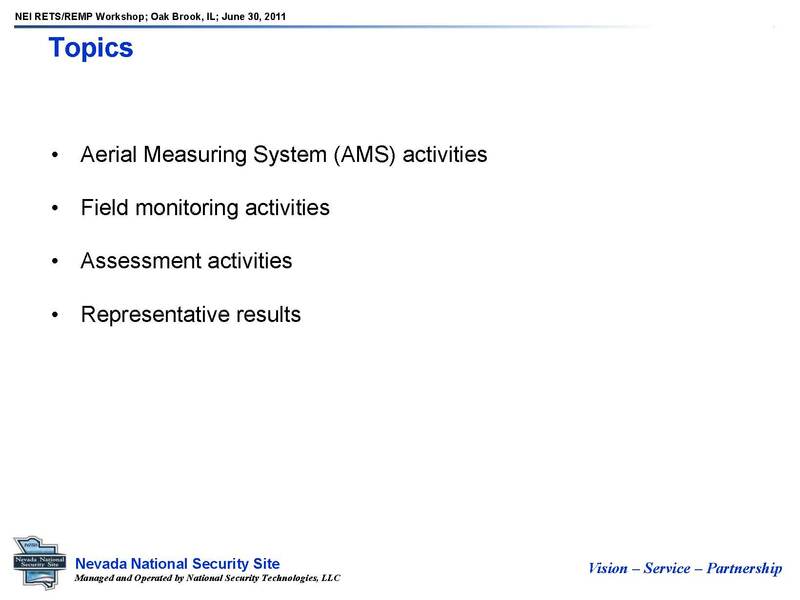 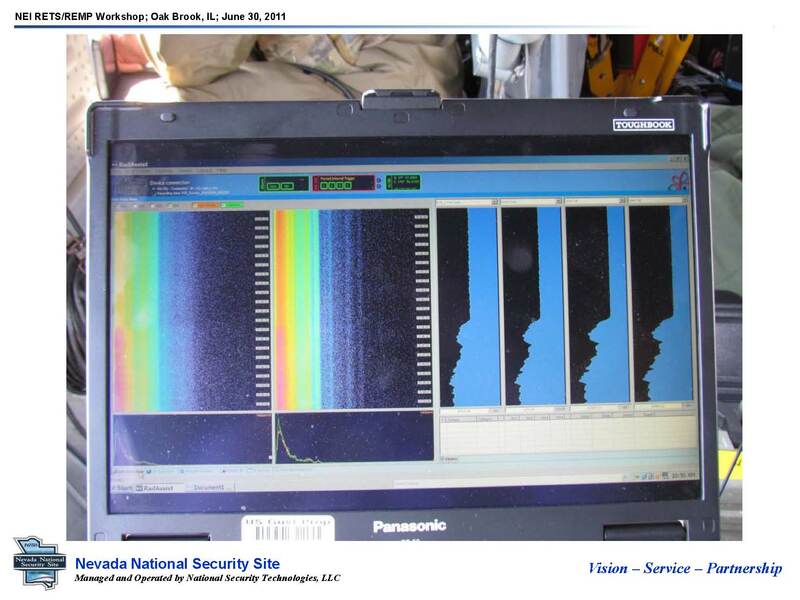 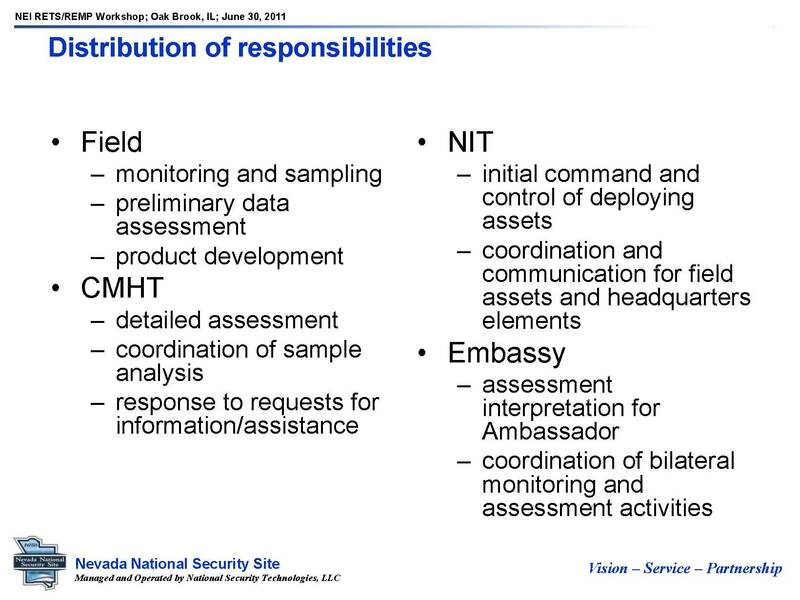 This work was done by National Security Technologies, LLC, under Contract No. 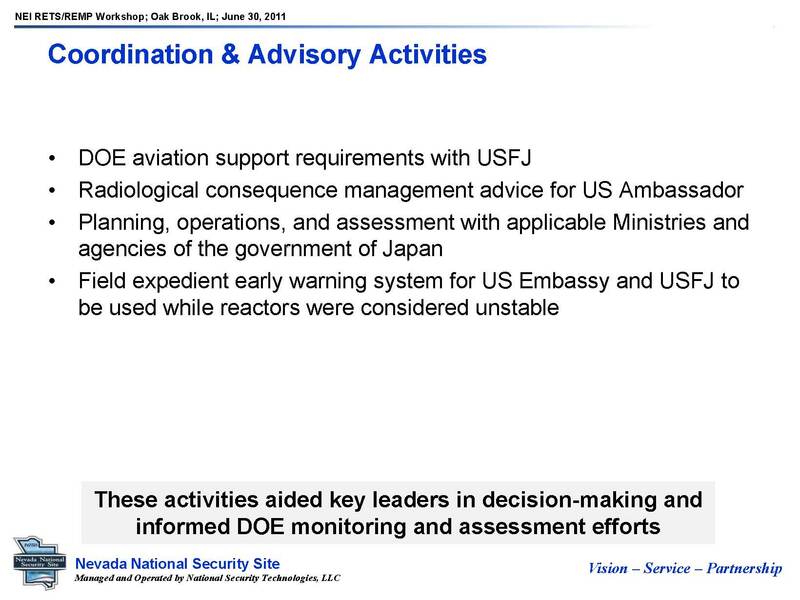 DE-AC52-06NA25946 with the US Department of Energy.